Audi, a premium automobile manufacturer, was represented during one of the most prestigious events in the world: The Pebble Beach Concours d’Elegance. Centigrade supported Audi in two key events including The Quail, A Motorsports Gathering and an exclusive Audi test drive event held at a private estate on the Monterey Peninsula. The Quail event is arguably one of the more exclusive events taking place during the Pebble Beach weekend. It is held on the beautiful Quail Lodge Golf Course and delights guests with some of the best examples of historic vehicles to be found anywhere on the globe. Audi is one of a handful of new premium car makers that takes advantage of the opportunity to be a part of this fantastic event. 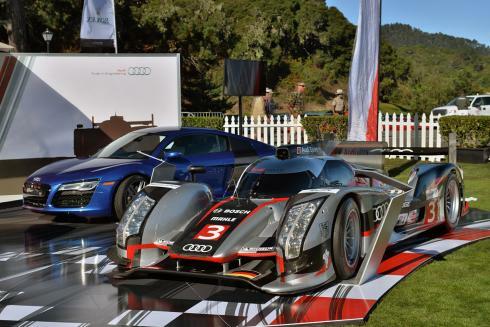 With our support, Audi has had an increasingly greater presence at The Quail and the weekend included an outdoor auto show display complete with their R18 Ultra racecar which guests were able to view firsthand. The Audi private test drive event is equally impressive. It is an invite-only test drive event held at a very exclusive private residence located on 17-Mile Drive in the heart of the Monterey Peninsula. 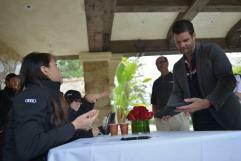 Guests were able to experience the latest Audi vehicles by taking them on short drive routes. Guests were also treated to fine cuisine and offered special gift bags courtesy of Audi brand partners.